One of the best things about dancing at MDH is the variety of teachers we have. All teachers have their own way of teaching and their own style of dancing and therefore you may find you will want to bounce around the timetable to experience the full gammet of classes on offer at Mad Dance House! The teachers of Mad Dance House are all amazing and passionate professionals who are constantly expanding and evolving in their artform. They have all been hand picked and are undoubtedly the best dancers/choreographers in Brisbane/QLD/Australia. Their skills, expertise, professionalism and down to earth personalities will have you hooked on dance in no time! 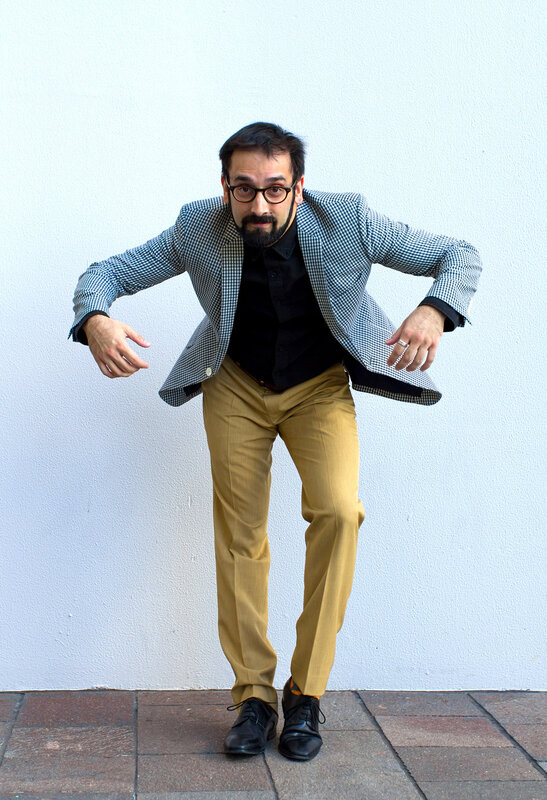 Sheru was born in Berlin, Germany, and moved to Australia in 1983. He grew up living an active lifestyle filled with sports and music, before finding his real passion in life – dance, in 2005. He has trained under some of the world’s best including Electric Boogaloo legends Mr Wiggles, Suga Pop and Poppin Pete. In 2006, he helped found the dance crew Shift-1, which went on to become grand finalists in the smash hit TV show Australia’s Got Talent (2008). The following year, he founded and began coaching Clockwork, who later became the Australian Hip Hop Internationals and World Supremacy Battlegrounds champions. In 2010 he created the group Who Are These Robots which went on to gain international renown and praise amongst the robotics community. That video also got the attention of Jon M. Chu’s Legion of Extraordinary Dancers (The LXD) and the boys were invited to be featured in an episode of the show. In 2012 Sheru was chosen to star in Southern Comfort’s TV ad where he plays ‘Mr Pop’. In the same year, Sheru and his crew Swagamama were contestants on channel 10’s TV show Everybody Dance Now. In 2013, Swagamama reached the grand finals of Australia’s Got Talent, making Sheru a two-time Australia’s Got Talent grand finalist. 2017 sees the return to competition, with his group Swagamama achieving state champions for Hip Hop Internationals. Having trained with an exceptional array of choreographers both in Australia and LA, Tesa has found her own fluid style and is today recognised as an established Brisbane hip-hop dancer. The ability to understand music at an early age has allowed her to translate and integrate that knowledge of sound to movement, evident in her work today. Tesa has taught at a several studios in Brisbane as resident and substitute teacher and has had the privilege of sharing her passion for dance in Melbourne and Sydney. 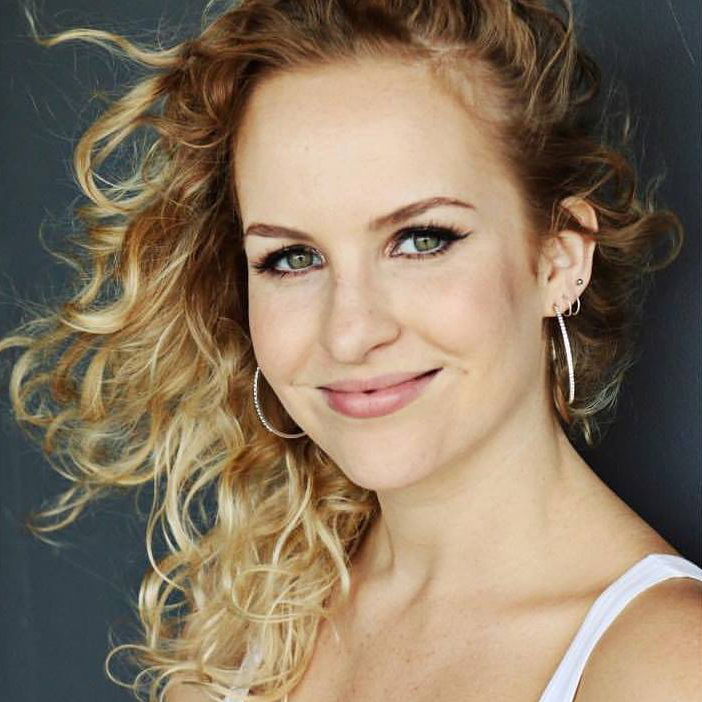 As well as absorbing the knowledge and talent of her Brisbane colleagues, Tesa has also trained in Melbourne, Sydney and LA with and under respected choreographers and teachers. Tesa has also had the pleasure of performing for world-renowned choreographers Tony Czar and Rob Rich both in Australia and LA. Her stage presence and performance standards are the result of having studied Performing Arts. She has danced a long side the likes of Chingy, Bow Wow, Havana Brown, Diplo, Paces and the Stafford Brothers (just to name a few), performed with and for some Australian elites and today continues to grow, learn and work as a hip-hop dancer. Sam Evans is a Brisbane-based street dance artist, specialising in popping and street dance styles. He has performed nationally and internationally with Swagamama, and as a founding member of Equals Dance Crew competed in Australia’s Got Talent 2016, where they made the grand finals. In addition to his experience as a dance performer, Sam regularly competes in professional dance battles. With a structure that is unique to the street dance community, competitive battling has helped Sam develop a strong confidence in improvisation and the ability to respond to stimulus in real time. A born entertainer, Sam has continually developed his movement practice within the street styles and is ready to expand is knowledge and share his experience with a broader dance community. Jasmine began dancing at the age of 3 and studied tap, jazz & ballet. As the years went on, Jasmine expanded her repertoire to include hip hop / street dance. All these different styles fused together have created jasmine’s own street style, which she is now renowned for. Jasmine has been performing, choreographing & teaching workshops throughout Queensland since 1998. Industry credits include dancing & co-choreographing Mega Jam instructional DVD’s, RAQ Fashion Awards, Dancer & choreographer for QLD Reds & Brisbane Broncos Dance teams & seven years as a dancer & character performer at Warner Brothers Movie World. As a freelance performer, she has appeared in various video clips, television appearances, fashion shows and night club performances, locally and internationally. Errol is the Founder and Director of Trick Nasty Productions ( Producer of Brisbane Silver Bullets / Qld Firebirds Lorna Jane Move Crew Cheerleaders). He was also the Director of Prince Academy, Fresh Elements Dance Studio, Industrie1 Dance Studios & the Founder of one of Australia’s longest running Street Dance/Hip Hop Crew ‘Trick Nasty Crew’ since 2001. Errol and his crew 'TNC' to this day is respectfully considered as one of the key 'Trend-Setters' in the late 90's / early 2000's & have influenced their style, charisma, formula and flavour to many of the crews, teachers and dancers that you see in todays scene. Errol is profoundly regarded as one of the most versatile Street Dancer, Choreographer and Mentor in Australia with abundance of knowledge, skills and experience in Hip Hop/Street Dance. With over 25+ years of experience through teaching, crewing, dance competitions, battles and countless of unprecedented professional work under his belt locally and internationally. Errol adds, ‘Hip Hop is not Hip Hop if peace, love, unity and fun is not in the mix and if you don't bring it back to the community. Anti Fischer is a Hip Hop dancer, teacher and choreographer based in Brisbane, Australia. She has taught around the world at renowned studios such as Millennium Dance Complex (L.A + Toronto), Movement Lifestyle (L.A), Dance Works (Japan), The Village (Sydney), Underground Dance Centre (Toronto) and more! In 2010 Anti was one of 14 cast members selected across America to be in the Monsters of Hip Hop show in Los Angeles. Most recently Anti taught at The Australian Dance Festival in Sydney (2016) and toured with Dream Dance Company for the “Secret Society Show” Choreographed by Candace Brown and directed by Marko Panzic (2016,17) Some of her other career highlights include assisting world-renowned choreographers: Tony Tzar, Kevin Maher and Nick Demoura. Anti is incredibly passionate about dance and loves to inspire and share her craft!